To start a browser inside the sandbox, click on the browser shortcut icon. To run a browser inside the sandbox, click 'Choose and Run', navigate to the installation location of the browser and select the exe file of the browser. 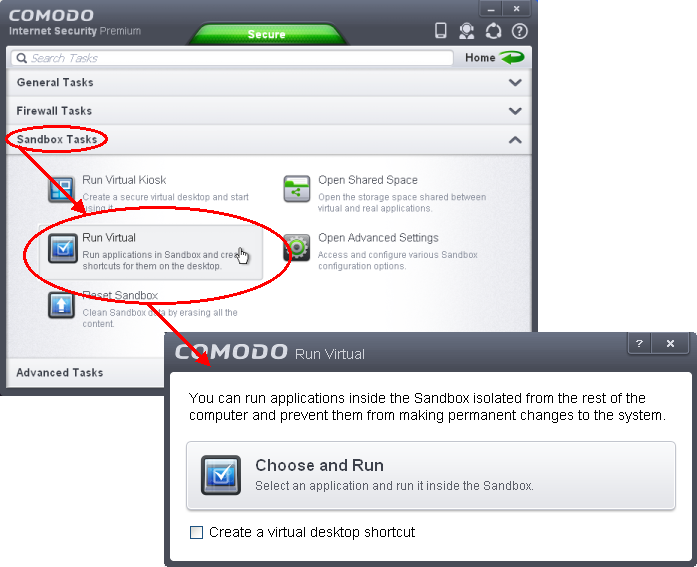 If you wish to create a desktop shortcut to run the browser in the sandbox in future, then select 'Create a virtual desktop shortcut'. The browser will run with a green border indicating that it is sandboxed.